"I love fashion! I want to be the style DIVA! I want to look my best and make heads turn around." I am sure every girl wants to be talk of the town. Some girls know right fashion and some know don't know how to go about it. 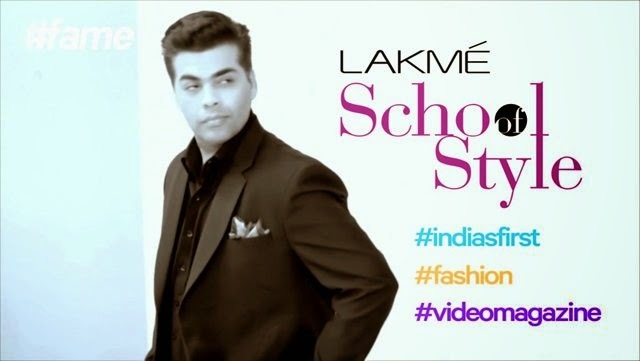 So, for the ones who know and who don't know style, Lakme has joined hands with #fame and have come up with their video magazine called as "Lakme School Of Style" making Bollywood director Karan Johar as chief head. The fun part of watching these videos is when you know what to wear and how to team things up, these videos give you direction to think differently than regular style. They give you the confidence to wear something out of the box which you might not have tried wearing or may be have felt shy. There are couple of more videos like “5 sneakers for workout in style”, “DIY hairdos for short hairs”, “choosing right swimsuit for body-type” etc. Videos are just 5-6 minutes and they tell you what you want to know. Do check out their other interesting videos on fashion and style. You can check them here->>LINK! 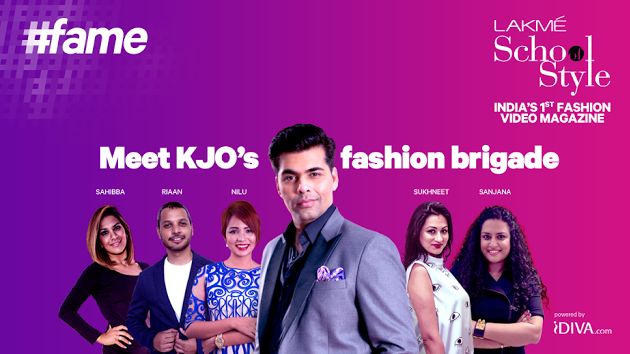 Did you know about the channel #LakmeSchoolOfStyle? If yes then which video is your favourite? Tell us in comments below.